Robert “Bob” N. Kripaitis passed away on February 9, 2019 surrounded by loving family members. He was 95. Friends and family affectionately called him “Krip” for short. He was born on June, 6 1923 in Elizabeth, NJ to his Lithuanian father, Juozas (Joseph) Kripaitis and his Irish mother Anna Donahue. He is preceded in death by his parents, his brothers Joseph George, and Raymond Russell; and his first wife Ruth Ann Seery. He leaves behind his loving wife, Carolyn Frame Kripaitis of Seaford; his children from his first marriage with Ruth Seery, Kevin Joseph Kripaitis (wife Vicki Bush Kripaitis), Barbara Ann Holstein (husband Horst Holstein), and Paula Kripaitis Neely (husband Richard A Neely, Jr); his children with Carolyn, Lisa Schappell-Parsons (husband Thomas Parsons), Maria Kripaitis Rauba (husband Vytas Rauba), Robert Grant Kripaitis, Michael John Kripaitis, and Rebecca Ann Kripaitis. Grandchildren: Dieter Holstein (wife Ginny Swenson Holstein), Richard Brian Neely (wife Lauren Mullenax Neely), Laura Kathryn Neely, Sarah Bethany Neely, Brittany Lee Schappell, Ethan Hunter Schappell, Madison Ona Rauba, Grayden Darius Rauba, Robbie Kripaitis. Great grandchildren: Elizabeth Ann Neely. He is also survived by his younger brother, William Grant Kripaitis. Krip served in WWII from 1943 to 1946. He was a mortar gunner in Company A, 58th Armored Infantry Battalion, 8th Armored Division. He saw action in Europe and he loved to throw out a German or French word every now and then. He was honorably discharged and received 3 medals. After the war, Krip returned and attended Mount St. Mary’s college in Emmitsburg, MD and attended graduate school at Teachers College, Columbia University, New York City. He played basketball and baseball. Krip married Ruth Seery in Elizabeth, New Jersey in 1949 and they moved to Seaford, DE, where he started work for the DuPont nylon manufacturing plant. Ruth passed away in 1958 and Bob married Carolyn Frame in 1960. 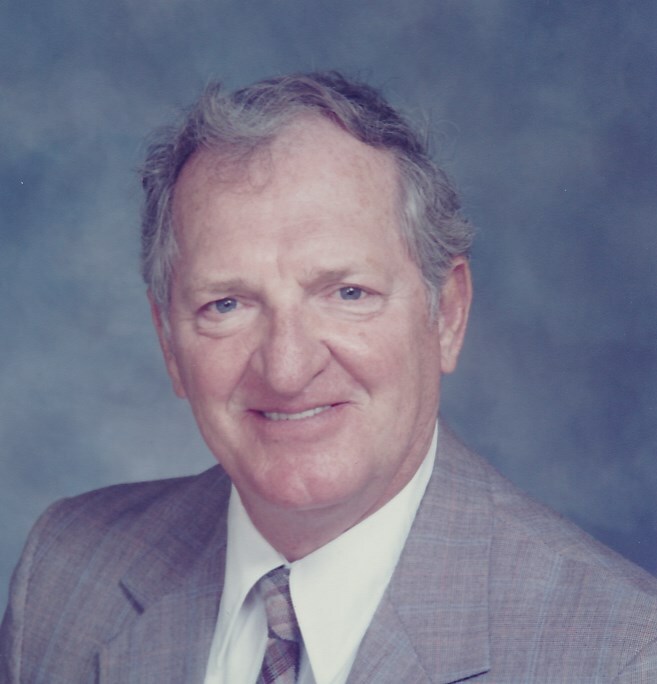 He had a long career with DuPont becoming a supervisor and retired in 1986. Krip didn’t sit still during his retirement. He drove a school bus. He volunteered to read to kids in school. He was president of the Delaware Association for Retarded Citizens and supported his daughter’s competition in the Special Olympics. He was active with the Kiwanis. He volunteered at Nanticoke Memorial hospital for many years and helped his handicapped daughter Rebecca with volunteer work. He also medaled in the Delaware Senior Olympics in horseshoes and competed in the National Senior Olympics. When he took some time off, he spent time at the beach with his children, and he traveled in his travel trailer coast to coast with his wife Carolyn and daughter Rebecca. He loved catching and eating crabs and teaching others how it was done. He also loved to dance and was even a certified Arthur Murray dance instructor. Krip was a long time member of the Seaford Golf and Country Club. Visitation will be at Cranston Funeral Home, 300 N. Shipley St. in Seaford on Tuesday 2/12 from 6-8pm. A funeral mass will be held at Our Lady of Lourdes Catholic church in Seaford on Wednesday, 2/13 at 11am. A private burial will be at the Delaware Veterans cemetery in Millsboro, DE.